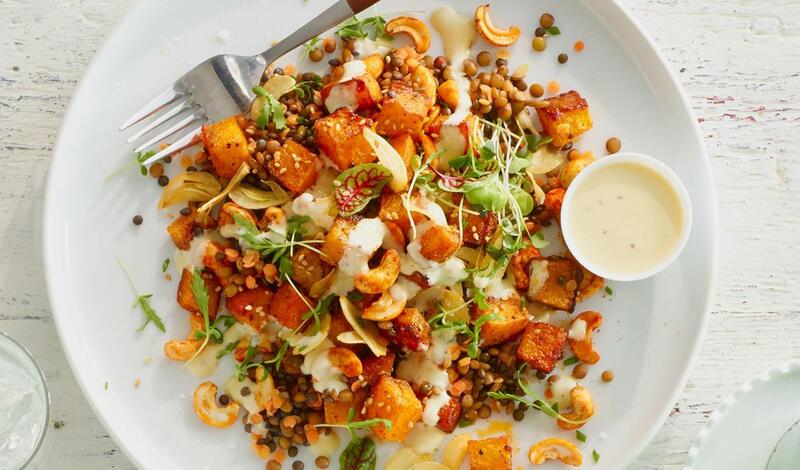 This warm salad features mixed lentils, butternut squash seasoned with roasted cayenne and smoked paprika, and spiced cashews. Topped with creamy, tangy Hellmann’s® Honey Dijon Dressing blended with yogurt. Toss the butternut squash with oil and seasonings. Roast at 200°C until tender and slightly charred.